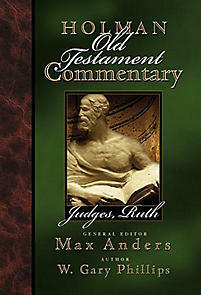 The unique format of the Holman Old Testament Commentary is designed to encourage new interest in the Scriptures, expanded Bible knowledge, and discovery of specific scriptural principles and relevant applications. "In a Nutshell" summary of the content and teaching of the chapter. Bible principles and specific contemporary applications. A brief prayer to aid in daily life commitment to the principles and applications of the chapter. "Deeper Discoveries" for more personal, deeper study of the words, phrases, and themes of God's Word. A teaching outline to assist the teacher in group Bible studies. This resource for local church Bible teaching will enrich the ministry of group and individual Bible study, and lead God's people to truly be people of the Book, living out what God calls us to be.